automobile marketing Archives - Marketing & Brand Strategy. Steve Poppe, Founder. No back-patting here (okay maybe a little) but my prediction that the Chrysler/Fiat combination was a smart one has come true. 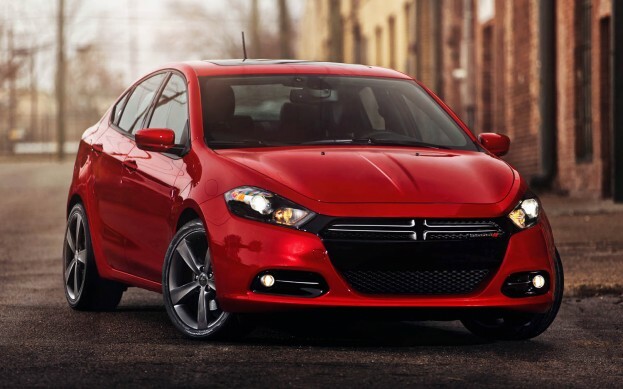 The car market grew 13% last year and Chrysler sales weighed in at 20%. Chrysler outperformed the market by 7%. GM and Ford at 3% and 4%, underperformed the market. Bringing a little European design and smaller car sensibility to America has, indeed, translated into sales and margin. The approach, tempered by some Jeep and Dodge DNA, put Chrysler back on firm ground. 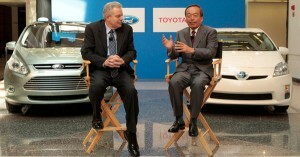 A point of concern, however, is CEO Sergio Marchionne’s comment at the Detroit Auto show. He feels a U.S. recovery will pave the way for growth of his more heavy metal cars and trucks, like the Jeep Grand Cherokee and the Dodge Ram truck. This is just the type of talk that got us into trouble in the first place. I would expect to hear this from Ford and GM but not Chrysler (Fiat). Twenty somethings and the emerging car buyer market (read future) will not be demanding guzzlers. And in 10 years a 30 MPG car will be a guzzler. Don’t fall for this Mr. Marchionne. Keep your eyes on the big prize. Stop the supersizing. Find beauty in the small. The efficient. Meep meep. This is way forward. Peace. Car sales were reported yesterday and they were quite good. Year over year for the month of September there was a 13% increase. 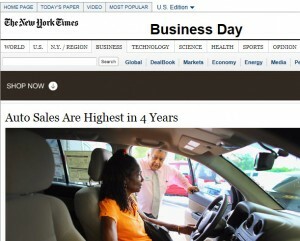 The New York Times lead story in the business section announced “the best results in 4 years.” I’ve been blogging about the automobile industry since the beginning of What’s the Idea? mostly because I’ve been so angered by what’s been happening. People need cars. People need money. People need to be more responsible to the planet. These observations drive my points of view. I have a suggestion for the auto industry, especially GM and Ford the two companies that performed most poorly. Spin off your truck divisions. Divest completely. They need their own leaders, R&D (design with a capital D), manufacturing and marketing. Most times when there is a divestiture it’s government encouraged. But time it should be market driven. During the bail-out meetings a couple of years ago, in the picture of with Ford and GM executives sitting around the table with president Obama, had not a smart phone was to be seen. The Q-Tips were running the show (insider car target reference). We need to drop the leash here too. Peace. Full disclosure: I’m an ad-rat and therefore not your average Super Bowl commercial watcher. Also a liberal, I’m a fan of lifting up the bottom and tamping down the top. Watching the ads during the game the NY Jets did not play on Sunday, I was taken aback by the black and white Chrysler ad. Though the sound wasn’t great because of all the chatter in the room, I immediately knew it was part two of Chrysler’s “Imported from Detroit” campaign by Wieden +Kennedy. Not sure if the music bed was similar to last year’s brilliant Eminem spot or what it was but I could tell it was a Chrysler spot way before the logo cameup. I was ready to enjoy it, but sadly, didn’t. It felt derivative. Perhaps not the uber target for the ad, though certainly closer in age to Clint than Marshall, I felt the crusty, just-under-the-skin angry tone (a Clint specialty) lacked the energy and visceral side of last year’s heroic spot. I’m sure the script was good, the film and editing certainly were, but it didn’t make me want to jump up and buy a Chrysler. Or move to Detroit. Or buy American everything the way the original ad did. Karl Rove over the weekend said the ad was a big pay-back to president Obama for the government bail-out of Chrysler. I doubt there was any agenda, yet if there was (even a hint) the best payback would have been to move some cars. And though this year’s spot was probably better than 90% of the other pap, I’m not sure as many cars will be driving off the lots this month as were last February. Peace! When I first heard of Chrysler’s purchase by Fiat my mind was filled with all sorts of meep meep images of sporty small cars darting around American highways – fun to drive and helping the planet. I loved it and it was just what the country needed. A year and change later, the Fiat 500 was introduced. Zoooop. (The sound of disappointment.) Como se ugly? Como se out-of-touch? Add to that, J-Lo doing a 2006 shimmy on a street in NY and I felt even more let down. Then I saw an Owen Mack video of Ralph Gilles, president and CEO of Dodge, next to the amazing new Challenger and I was back on board. This muscle car, not what I had in mind for the combined company, reminded me that car design is still key. 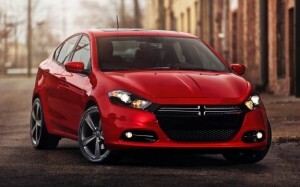 Yesterday I got my first look at the new Dodge Dart. Reported to be around 40 MPG, this baby is fine. It’s a mid-size car with style, selling for around $16,000. My daughter bought a used Honda Civic a year ago for the same price. The jury is still out on quality, but the jury is back on design and mileage. It’s the American way to fail a little bit before you hit big — and the Fiat 500 misstep will teach Chrysler/Fiat how we roll. And now Chrysler/Fiat is about to America how it rolls. I smell am Harvard Business Review business case. Peace! Not one to throw darts at people I don’t know, I have been known to ding their actions. That’s the fun of blogging. One marketing person who is a bit of a lightning rod, especially to those in the advertising business is Joel Ewanich, chief marketing officer of General Motors. 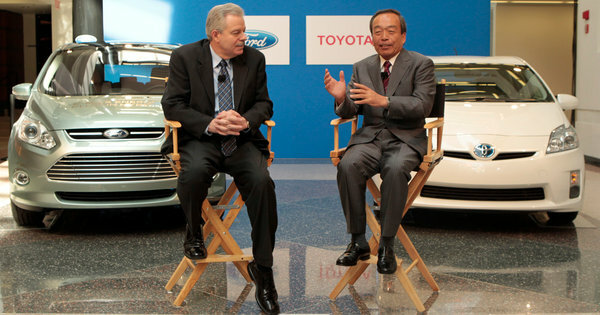 Forbes called him “Marketer of the Year” in 2009 and he has done some great marketing putting Hyundai on the map. I’ve written about Hyundai’s smart marketing for years. But lately, Mr. Ewanich who is nothing of not decisive, has been spending his time shaking up the ad agency roster and tossing grenades. Google “Goodby Silvertein+Ewanich.” While Mr. Ewanich was spending much media time energizing and de-energizing agencies his defining product launch, the Chevy Volt, was going long on glamour and short on engineering. It was reported today that the Volt’s lithium ion battery pack has been found to spark and fire in simulated crashes. Marketers, lest we forget, are responsible for product as well as promotion and it seems that the Volt was not adequately tested prior to launch. In all the news about loaner cars and driver safety being job one, I haven’t seen Mr. Ewanich’s name anywhere. Dart time. Combustion engines go on fire after crashes. Hell, they are filled with gas. Lithium ion batteries overheat — can you say Dell? Mr. Ewanich did not design the battery pack or it’s housing, but he is responsible for product readiness. A lesson to all marketers: Get the product right first. I understand multi-tasking and readiness, but marketing starts with the product. And ends with the product. Now there’s a marketing trend – product quality. Peace. Greed in marketing. Something to tink about. Greed in marketing is nothing new. Being different. Acting different. Selling differently…all support creating a competitive advantage and making more money. But greed is not a good thing. It has ruined the economy (mortgage-backed securities), kept the U.S. beholden to terrorist oil states, and no doubt played a role in many hatreds around the world. Sometimes greed needs to reach a breaking point before it succumbs. Yesterday’s announcement between Ford and Toyota, to work on a hybrid engine for pick-up trucks may be a good sign for the planet and for marketing. The U.S. gov’t smartly threw down the gauntlet in terms of miles per gallon goals for vehicles recently and this new rear wheel drive engine is a massive step toward meeting those goals. (Anyone home GM?) Normally, greed would have kept a deal like this from happening, but Ford and Toyota are showing good judgment and forward thinking and they woman-ed up. Oh, and the only reason it is happening is because Alan R. Mulally and Akio Toyoda (company CEOs) ran into each other in the airport and probably actually liked one another. As we marketers put our plans together, fill in our charts and goals and KPIs, how about we ask ourselves a simple tough question “If I wasn’t going to be greedy, what new company strategy might I employ?” As my Norwegian aunt might have said “Tink about it.” Peace!